The United States remained the world leader in geothermal energy with 3.7 GWe of installed capacity. The Geothermal Technologies Office reported that 68 MW of additional capacity was brought online in 2017 and 2018. A significant amount of geothermal resource potential exists across resource types, which include conventional geothermal, EGS, low-temperature, and co-production with oil & gas wells. 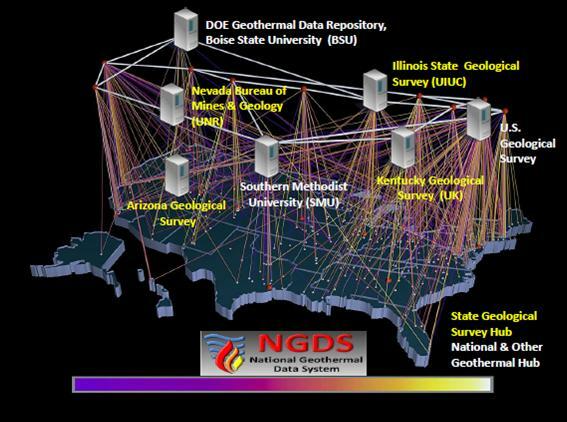 The United States Geological Survey (USGS) has estimated 9,057 MW for known geothermal, 30,033 MW for undiscovered geothermal and 517,800 MW for EGS. Although geothermal energy production comprised ~0.3% of the national energy mix, geothermal energy has the ability to play a key part in combating climate change and providing reliable baseload energy in support of intermittent renewable energy sources.